Sport management researcher Dr Tim Breitbarth (Department of Sport & Physical Activity) was one of only six awardees of the prestigious UEFA Research Grant Programme 2016/17, which supports all 55 UEFA member associations to further develop their own activities and projects. Tim’s project entitled “#SocialResponsibility in #Football: Mapping Perceptions and Expectations through Social Media Conversations across Europe”, is a longitudinal, large-scale analysis of social media across ten languages. Besides delivery of interim and final reports, Tim was invited to the House of European Football (UEFA’s headquarter) in Nyon, Lake Geneva to present his project’s findings to the UEFA Research Grant Jury chaired by Dr Michel D’Hooghe (amongst other, current chairman of the Medical Committee of FIFA and UEFA and an ex-member of the FIFA Council). The audience comprised of renowned academics, UEFA managers interested in the topic and representatives of the European football federations, so that Tim – for example – has been invited to present to the Croatian Football Association. 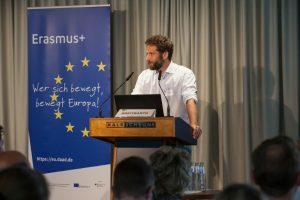 End of June, management academic Dr Tim Breitbarth (Department of Sport & Physical Activity) was invited to Berlin to provide an opening keynote as part of his EU-funded advisory role to the German Ministry of Research and Education, respectively the German Academic Exchange Service. 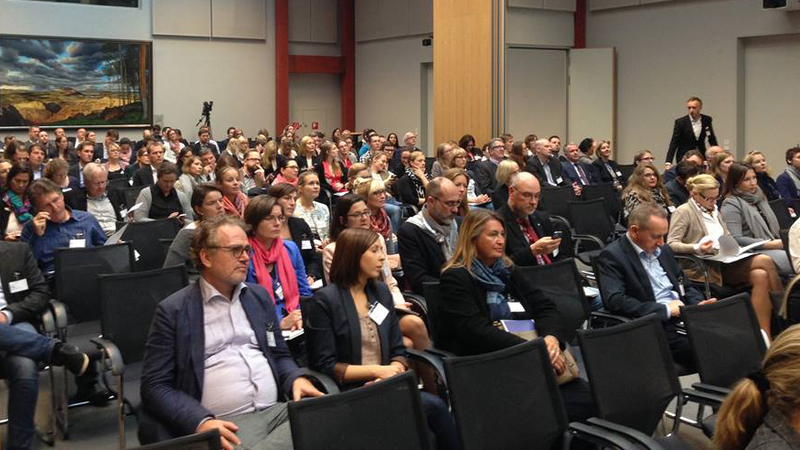 The one-day seminar on innovative ways to promote and facilitate non-academic staff mobility was attended by 65 mostly German university representatives managing internationalisation. The title of his speech was “Non-academic mobility in the light of higher education strategies, management and organisational culture”. 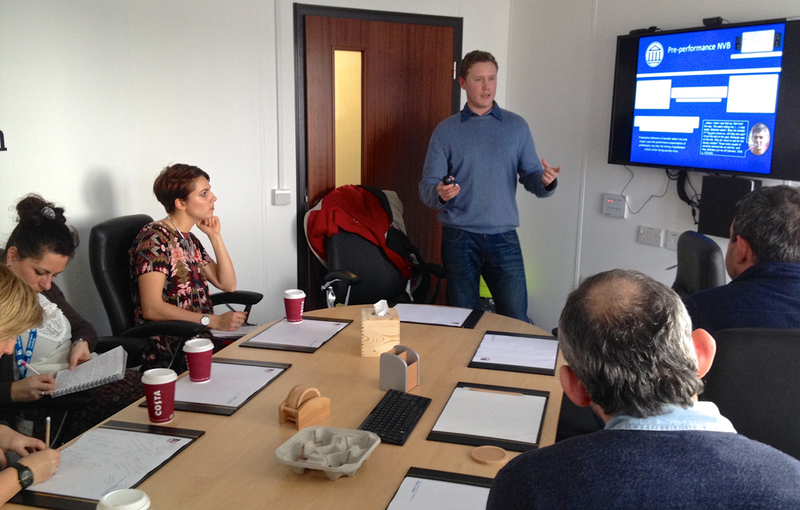 Tim’s input provided a frame and reference point for subsequent presentations, discussions and workshops. Despite the crucial backbone non-academics (should) provide to support both scientific excellence and students’ global citizenship, their role has been widely neglected in higher education internationalisation strategies and operations across Europe. This is indicated by the fact that only maximum 7% of all mobilities are by non-academic staff (excluding staff from international offices). Based on Tim’s visibility during this event, BU might be able to take part in a European research project looking at the impact of a university’s global engagement on the respective region along social, cultural and economic dimensions. Also, Tim brought back an inspiring practical example of how global mindset can be inspired and developed amongst non-academics in particular through an organisational development scheme. Golf occupies a prominent place in the global sport community and BU is one of only a few universities offering a full degree course on golf management. Dr Tim Breitbarth (Department of Sport & Physical Activity) is the lead editor of the first book that introduces the fundamentals of golf business and management from a truly international perspective. 30 authors from 6 continents are covering key topics such as media, club management, sponsorship and retail, at elite and non-elite levels. Already, the book has received endorsement from the top of the golf sector, namely Guy Kinnings (Global Head of Golf, IMG) and Martin Slumbers (Chief Executive, The R&A). With sections exploring the development of golf on every single continent, this book presents the latest thinking on current issues in golf, ranging from sustainability and innovation to global governance. Each chapter incorporates helpful features for students including learning objectives, discussion questions, guides to further reading, recommended websites and insights from industry voices. 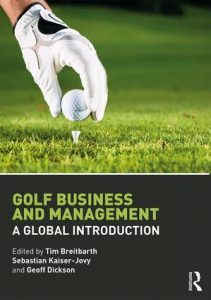 This book co-edited together with Sebastian Kaiser-Jovy (Heilbronn University, GER) and Geoff Dickson (AUT, New Zealand) is essential reading for students of any golf-related degree course or professional accreditation programme, and will also be of interest to those studying or working in sport business, sport management and sport tourism. Underpinned by up-to-date literature, golf researchers will also find the book a useful starting point. Contributors range from internationally renowned academics such as professors David Shilbury (Deakin University, AUS) and Karen Danychuk (Western University, CAN) to a senior vice president at Club Managers Association of America (USA) and managers at PricewaterhouseCoopers (Switzerland) and Brazilian Golf Federation. Also, ex-BU PhD student associate professor Brendon Knott (SA), BU honorary PhD Eddie Bullock (UK) and BSc sport management golf alumni Luke Frary (UK) have contributed their golf expertise. 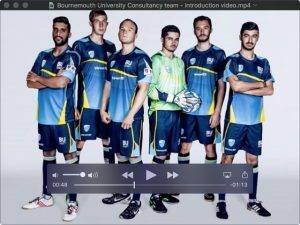 Final year sport management student Mats Hjertum and his teammate Stian Pettersen from our partner university, the Norwegian School of Sport Science, have been shortlisted in a business competition involving Germany’s most successful football club FC Bayern Munich and global consumer goods giant Procter & Gamble. Teams from as far as New Zealand submitted their innovative ideas around fan experience and mediaisation in football. Mats and Stian are mentored by management academic Dr Tim Breitbarth. Watch their great team presentation video that prominently features BU by clicking on the below picture. They are now invited to spend four days with FC Bayern Munich around the Audi Cup at the beginning of August (pre-season competition involving Bayern Munich, Liverpool, Atletico Madrid and Napoli) to meet stakeholders of the business competition, including Bayern executive board members, the general manager of P&G Germany, and the managing partners of Futury, the idea generator and test factory for new and digital business models which brokers the business competition. Importantly, Mats and Stian will pitch their idea for substantial funding and mentorship in the final phase. Amongst other, part of their experience will be an exclusive tour of Allianz Arena and tickets for all matches of the competition. Unfortunately, the second team led by BU sport management student Sahil Kamble did not make the cut despite a strong business, sports and engineering skills portfolio within their team of three and also an exciting technology-driven proposal. With the initial lead for the competition coming through Dr Carly Stewart, this is the first time Bournemouth University sport students have been involved in such an international business competition. Besides Tim’s mentorship, Mats and Sahil commented that their approach to this competition and their business thinking benefitted from the experience of the intense multi-day and fast-paced international student management game in Cologne, organised as part of their final year strategic sport management unit. BU management researcher Tim Breitbarth is the leading guest editors for the forthcoming Journal of Public Affairs special issue: “The Marketing and Public Affairs of Sustainability”. Tim collaborates with Stefan Schaltegger (Professor for Sustainability Management and Head of the Centre for Sustainability Management, Leuphana University Lüneburg, Germany) and John Mahon (John M. Murphy Chair of International Business Policy and Strategy and Professor of Management, Maine Business School, University of Maine, USA). See web link for details of the Call for Papers. Please forward to colleagues who might be interested. Deadline for the submission of full papers: 31st December 2016. Management researcher and adviser Dr Tim Breitbarth (Department of Sport & Physical Activity) provided the opening speech on trends in European higher education internationalisation policies, strategies and activities at a national higher education management congress in Cologne last week. The one-day congress was attended by vice chancellors, pro-vice-chancellors (global engagement) and heads of international offices. In his 45-minutes speech, Tim covered topics such as the new competitive landscape of higher education and the role of internationalisation as a catalyst for overall reforms in a number of countries and also provided some guidance on change management. Tim’s speech allowed subsequent discussions and other presenters to build upon, amongst which were a vice chancellor, the head of audit of the German Rectors’ Conference and the director of a higher education consultancy. Last year, Tim was inaugurated for a 2-year term as an advisor to the German higher education sector as part of a EU-funded project of the German Ministry of Research and Education and the German Academic Exchange Service. 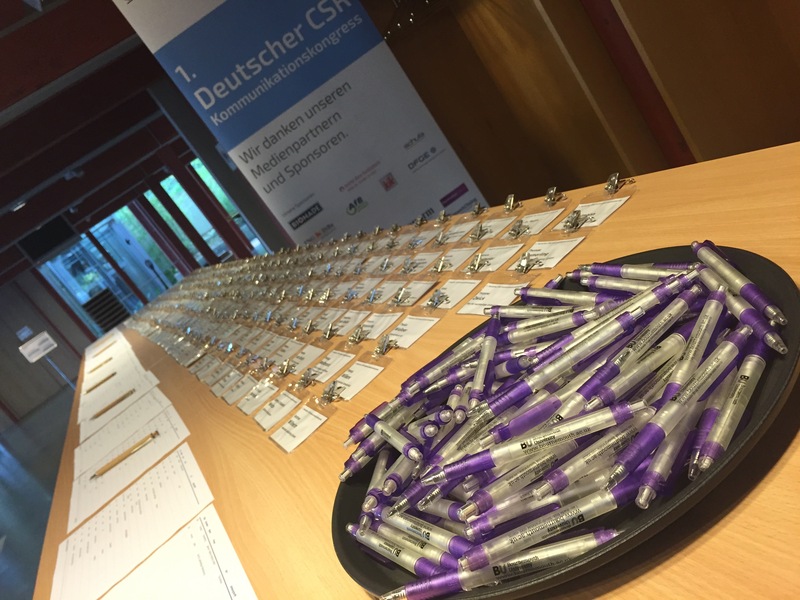 Management academic Dr Tim Breitbarth (Department of Sport & Physical Activity) was invited by the German Football Association (DFB) to provide input and add to the discussions at DFB’s 1st Annual Congress on Social Responsibility. With over six million members, DFB is the largest single sports federation in the world. Held in Hennef on November 26th-27th, the event brought together 70 of the DFB’s executives and leadership team from across the country, including vice-presidents, directors and representatives from all regions and states. Tim contributed as an external expert panelist for the moderated ‘fireside discussion’ that kicked-off the ambitious program and provided guidance at the start of the workshop on communication and marketing value of corporate social responsibility in the context of the sports association. The DFB seeks to take a proactive stance on reflecting upon and invigorating its socio-political role and policies, especially by encouraging its regional and local entities and more than 25,000 individual clubs to embrace the process. Recently, Tim provided Corporate Social Responsibility (CSR) communication expertise to DFB’s Social Responsibility Commission (see this blog post) and moderated a similar event for Sport Federation Lower-Saxony, which is the umbrella organization for almost 10,000 sports clubs and 3 individual million members. His engagement and expertise is underpinned by his research, e.g. manifested in a recent special issue of Corporate Governance on “Governance and CSR management in sport” and an upcoming special issue of Journal of Public Affairs on “The marketing and public affairs of sustainability”. 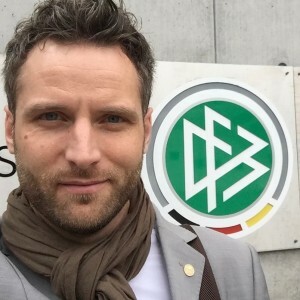 Principal Academic Dr Tim Breitbarth (Department of Sport & Physical Activity) was invited by German Football Association (DFB) to provide CSR communication expertise to its Social Responsibility Commission. Speaking yesterday, his input focused on the interlink between CSR integration and communication, and concluded with some strategic and operational suggestions. The impact of Tims’ consultation will be felt, his presentation sparked lengthy discussion and reflection amongst members of the Commission who proposed additional action and follow-up work. At present the DFB is challenged by investigative media stories about non-transparent financial transactions in the context of hosting the 2006 FIFA World Championship. The long-standing Commission comprises of leaders of the association (e.g. vice president, director, heads of regional football associations), leaders from civil society organisations and other relevant external experts. Recently, Tim was interviewed a few times on his area of expertise, e.g. for the article “Where the money comes from” in Le Monde diplomatique (www.exacteditions.com/read/diplomatique/july-2015-43324/13/3). Furthermore, amongst other, he was the lead convenor of the well-attended workshop “CSR communication in sport” at the recent 23rd European Association for Sport Management in September; is the lead guest editor of the special issue “Governance and CSR management in sport” in Corporate Governance (ABS 2*), published in summer (www.emeraldinsight.com/toc/cg/15/2); and is co-organiser of and moderator at the industry-focused 1st German CSR Communications Congress, held in November (www.csr-kongress.de). As part of the research links, Dr Sylvain Laborde, a sport psychology researcher from the German Sport University Cologne, recently visited BU. Amongst other, he gave a talk on Heart Rate Variability (HRV) and its uses within sport psychology. 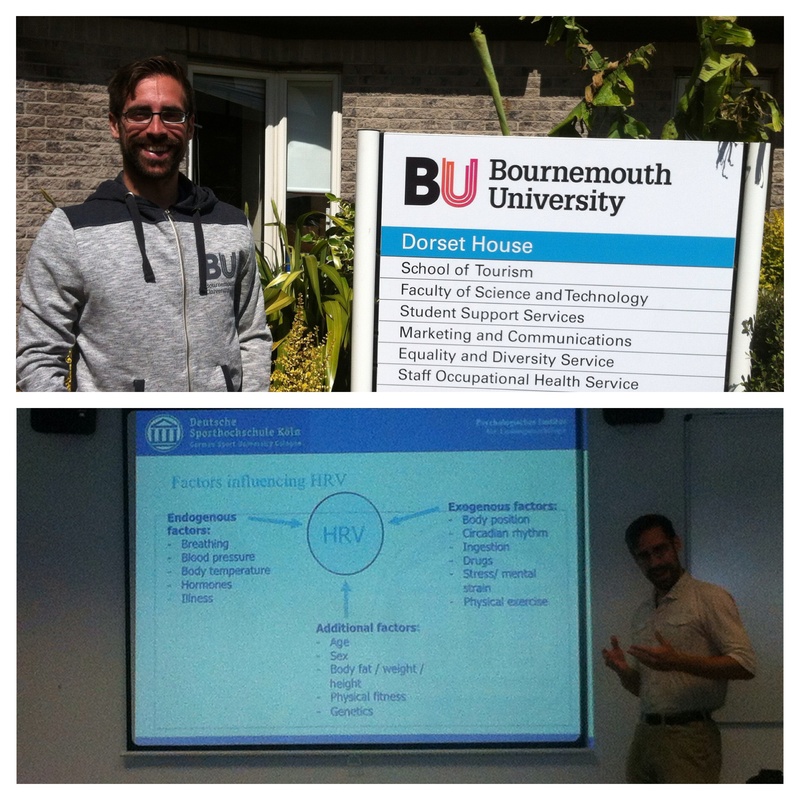 Dr Laborde enjoyed his visit to BU and Bournemouth: “I visited Bournemouth University the first week of June 2015, during an Erasmus+ stay. My first contact with Bournemouth University was a very motivated PhD student, Emma Mosley, coming to me last year for an internship at the German Sport University in Cologne, to learn how to use heart rate variability (HRV) to investigate the role of athletes’ personality when performing under pressure. My goal for this week in Bournemouth was to focus 100% on the writing of a HRV theoretical paper, and I was provided with all the necessary conditions to achieve such goal: a silent office on Talbot Campus accessible 24/7 enabling deep focusing and allowing late evening thinking times; enjoying good food, good beer (always good for inspiration), and energising runs on the beach. I was very warmly welcomed and really appreciated the feedback provided by the multidisciplinary team after my talk on HRV in sport psychology. From Dr James Gavin — I began writing this Blog in Oslo Gardemoen Airport last Sunday when my evening flight was delayed, and have just got round to finishing it now after a week catching up with colleagues (and work!). 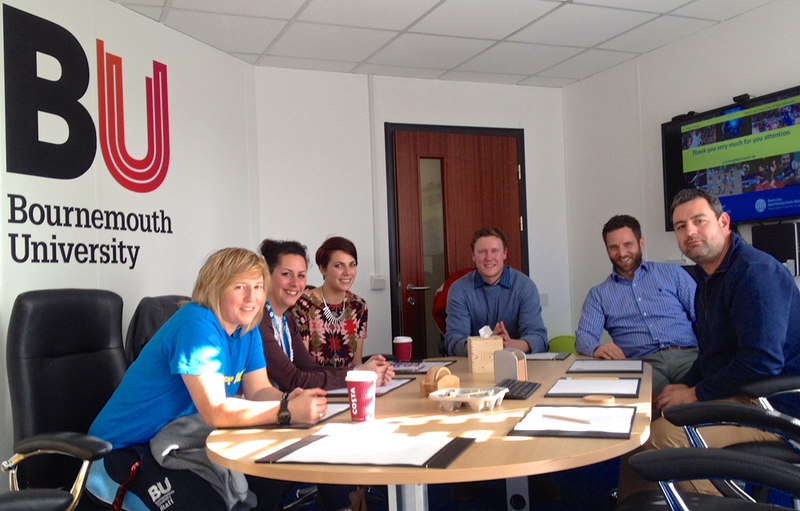 Having begun lecturing at Bournemouth University in September 2014, I was excited by our international partnership with the Norwegian School of Sport Sciences (NSSS); particularly due to the institution’s reputation as a small, campus-based university capable of producing both innovative teaching, and high-impact research. Supported by Dr Tim Breitbarth, I was later awarded Fusion funding on the Erasmus staff mobility strand to visit the School for a week this June. Departing London Gatwick at 9.20 am on Sunday the allure of Scandinavia, and being seated next to a passenger with extreme airsickness, meant my arrival in Oslo Airport two hours later couldn’t come too soon. 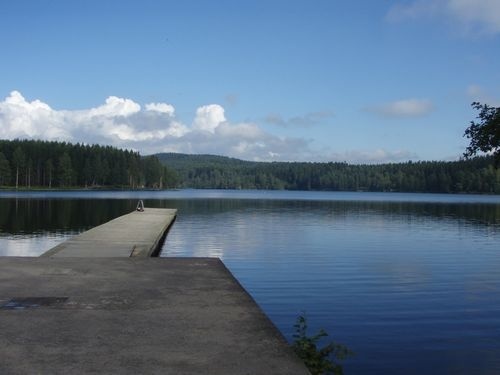 The School is a located 30 minutes outside Oslo in Sognsvann, an idyllic forest used for cross-country skiing during the Winter. Established as the State Gymnastics School early last century, the government-funded university was surprisingly understated, yet as I soon found out, it’s timber-panelled façade housed laboratories dedicated to: Biomechanics, Strength testing, Exercise Physiology, Histochemistry, Immunology, Performance Analysis, as well as an aged environmental chamber and swimming flume. Staying at the campus-based Olympiatoppen Hotel (used by elite athletes and visiting academics), my week started with a chance, breakfast chat on blood doping with a Professor David Collins, who turned out to be the Institute of Coaching and Performance Director at UCLAN. Out of interest I attended the ‘public’ PhD viva he was examining that morning discussing: How can environmental resources contain or enhance athlete development? Supporting the values of BU Fusion, the PhD defence supported: 1) Research, through the dissemination of emerging findings, 2) Education, engaging students and promoting discussion, and 3) Professional Practice, by involving those external to the university. After this I was given a campus and departmental tour by the Prof Bojsen-Moller, which included an introduction to course frameworks and teaching facilities. BSc courses include: Physical Activity and Health, Sports Biology, Coaching and Sport Psychology and Sport Management/Physical Education. Unique to any UK institution, the NSSS holds the national responsibility for higher education and scientific research in these fields in Norway. Although well-funded, is it nationally-accountable and now receives competition from the Norwegian University of Science and Technology and University of Stavanger. Throughout the week I had opportunity to meet a range of academics and students (sitting in on a pre-lunch muscle biopsy! ), gaining insight into their educational practices (three common 1st year units, then five specialised units in 2nd and 3rd years/greater ‘transferability’ to courses in other departments after 1st year) and course development. This allowed me to discuss potential future partnerships with BU for 1) Education, as their students are attracted to UK-based Exercise Science and Coaching courses, and 2) Research, as they are not limited by facilities, but time and skilled-personnel. Socio-cultural demands meant their BSc Sports Biology degree focussed on: Orienteering, Skiing, Hand-ball, Outdoors studies and Exercise Physiology. This was also evident through Research and Professional Practice, as it was a daily occurrence to have cross-country skiers and runners performance testing in the laboratories (a 4 m wide treadmill belt was embedded in the floor of one lab!). I was also fortunate to co-supervise undergraduates when laboratory testing junior cross-country skiiers. Having taught in similar fashion with Kelly Goodwin at BU, it was clear student learning processes were transferable, and I could adopt similar assessment processe. The weekend’s down-time was spent in Oslo, taking in the National Gallery (Edvard Munch’s The Scream), the Royal Palace, Vigeland Park (Frogner Park) and…a chance, breakfast chat with David Elleray, the since-retired, English referee. My visit was a fantastic experience and I look forward to returning again in the near future to build upon the international partnership between BU and NSSS. Organized by Dr. Tim Breitbarth from the Sport Academic Group (FM) for the 3rd time after October 2012 and 2013, the 3rd International Week Sport Management saw international visitors contributing to the research culture, knowledge transfer and student experience on campus. Beginning of March, Dr Christopher Huth (Senior Lecturer in Sport Events and Governance, Bayreuth University), Konstantin Druker (Lecturer in Sport Management at our Erasmus partner university SRH Heidelberg) and Kasper Roe Iversen (PhD researcher at University of Southern Denmark) provided guest presentations on Level C to Level M on sport fandom, turnaround management in sport organisations and sport sponsorship. As part of the Business Research Seminar Series Research and the Roundtable International Sport Business, Dr Huth and Mr Druker presented their research projects on crowdfunding as a new means of financing professional/amateur sport organisations and a stakeholder analysis of the German Golf League. In addition, Tim inspired the very strong PhD researcher audience at the Business Research Seminar Series with his assessment of the strengths and weaknesses of the form of a PhD thesis, a shortened version of a conference keynote presentation he held in 2014, including reflections on how to keep your sanity and make progress. Beyond the teaching and research spheres, much discussion on career and administrative aspects of higher education in different countries/at different universities was facilitated. Joint journal and special interest publications are in the pipeline. The latest ABS Journal Guide has lifted an article first-authored by Dr. Tim Breitbarth to be the single most-cited paper in the only 3* journal in the field of sport business. Considering all major citation databases, Tim’s paper “The role of corporate social responsibility in the football business: Towards the development of a conceptual model” co-authored with Phil Harris in European Sport Management Quarterly (2008) is leaving the strongest footprint in the academic community. Dr Tim Breitbarth from the Faculty of Management is a regular author, guest editor, project leader, track convener at international conferences as well as invited speaker on CSR in general and CSR in sport. Breitbarth, T. & Harris, P. (2008): The role of corporate social responsibility in the football business: Towards the development of a conceptual model. European Sports Management Quarterly, 8(2): 179-206. Corporate social responsibility (CSR) has attracted considerable interest in the management discipline, but has rarely been evaluated and explored in the sports management research arena. In evaluating the sports, management and marketing literature, this article considers the role of CSR in professional football. It argues that an increased awareness and integration of CSR into the football business fosters the competitiveness of the game and creates additional value for its stakeholders. The article proposes a conceptual model which outlines the agency role of football in order to create political, cultural, humanitarian and reassurance value. 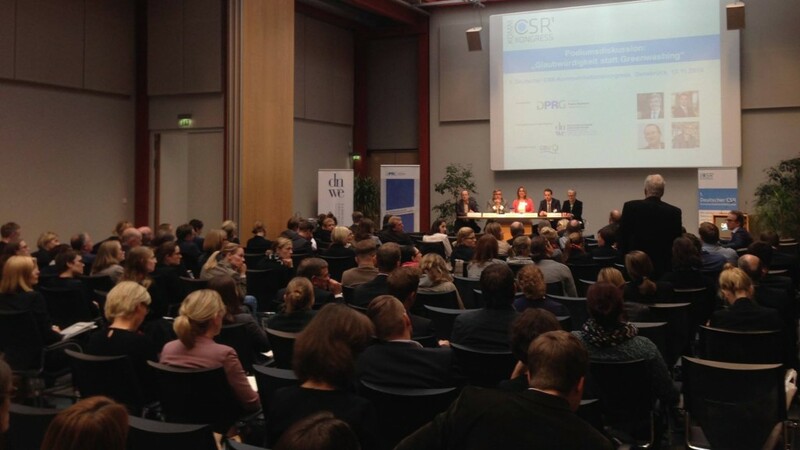 Empirical evidence supporting the model is applied based on case studies from four key countries that currently dominate the shaping of CSR discussion and are vital for the game itself: England, Germany, Japan and the US. The article’s aim is to encourage sports management to see CSR as an opportunity-driven concept, which can assist in achieving better strategic direction, and outlines areas where future research can improve sport management’s appreciation of this rapidly more important topic. Last weekend, Dr Tim Breitbarth (Senior Lecturer in Sport Management) and MSc Sport Management students Lisa Kaisner, Manuel Perez Vehi, Chih-Heng Kwan and Junbeom Kim returned from their 8-day trip attending the 22nd European Association for Sport Management (EASM) Conference, EASM Masters Seminar and EASM PhD Student Seminar. 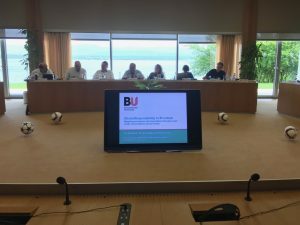 Following various successes at the 21st EASM conference in Istanbul last year, the BU travel party again made strong contributions to this leading international sport management conference. Together with 60 students from around the globe, the students worked in mixed groups on three different sport marketing cases and had to present their findings and plans in front of a critical jury over the period of 4 days before the main conference. Lisa and her team won the case competition on the Olympic legacy of the Coventry Ricoh Arena and, therefor, were invited to present at the main conference. Feedback from the students on the Masters Seminar in particular was largely positive – especially in terms of networking, making new friends, learn from one another and visiting sport venues/matches like the Rugby School and the season opening of the Leicester Tigers. Besides tutoring at the Masters Seminar, Dr Tim Breitbarth was invited to provide a keynote at the PhD Student Seminar titled “Book or articles? Assessing the strengths and weaknesses of the form of your PhD thesis”. His contribution was very well received and awarded during the conference dinner. He also mentored three PhD researchers from Belgium, South Africa and Mexico at the Seminar and gave advise on their research. At the main conference, Tim together with his small international team organized and convened a workshop on corporate social responsibility in and through sport. Again, the workshop was the second most popular in terms of submissions and all five sessions attracted a great audience. 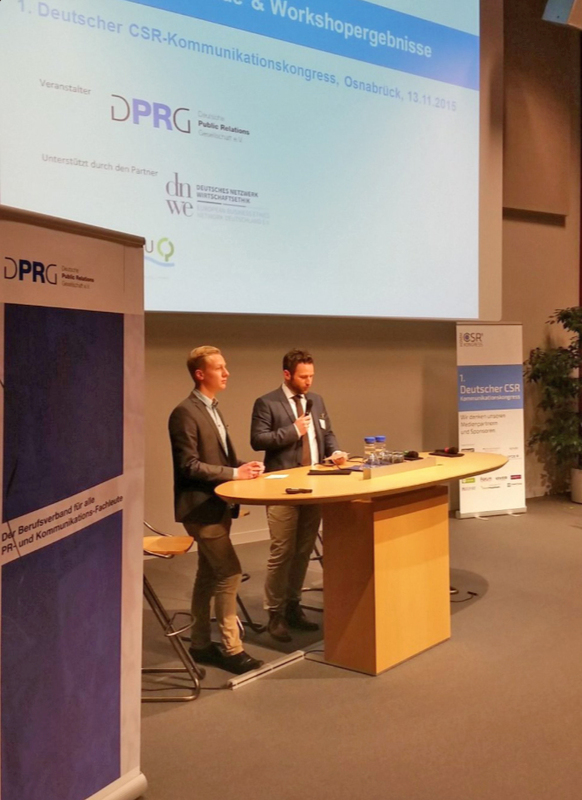 The academic workshop was spiced-up by inviting Nico Briskorn (Head of CSR at German professional football club VFL Wolfsburg) and Chris Grant (CEO, Sported Foundation – the London 2012 charity legacy) to contribute their expert insights into the application of CSR and sport. The relevance of the topic is also manifested by the fact that the paper “The Role of Corporate Social Responsibility in the Football Business: Towards the Development of a Conceptual Model” by Tim Breitbarth and Phil Harris from 2008 published in European Sport Management Quarterly (second highest ranked sport management journal in the world) has been the journal’s most cited article over the past 3 years. Also, Tim is the lead editor of the Special Issue “Governance and CSR Management in Sport” in ‘Corporate Governance: The International Journal of Business in Society’ which will be published early/mid 2015. In addition, Tim presented two research papers, one of which based on an awarded Bachelor dissertation by last year’s graduate David Thomas whom he supervised. In general, despite being a rather small party at a 500+ delegates conference, the BU team created awareness for our sport programs in particular and Bournemouth in general. Travelling Masters students were somewhat lukewarm about the practical value of the main conference (e.g. as a means to find a job), but overall enjoyed the experience and talking to experts from various fields. Several visits from renown (inter-)national scholars, academics from partner universities and PhD students are already in planning for 2015. 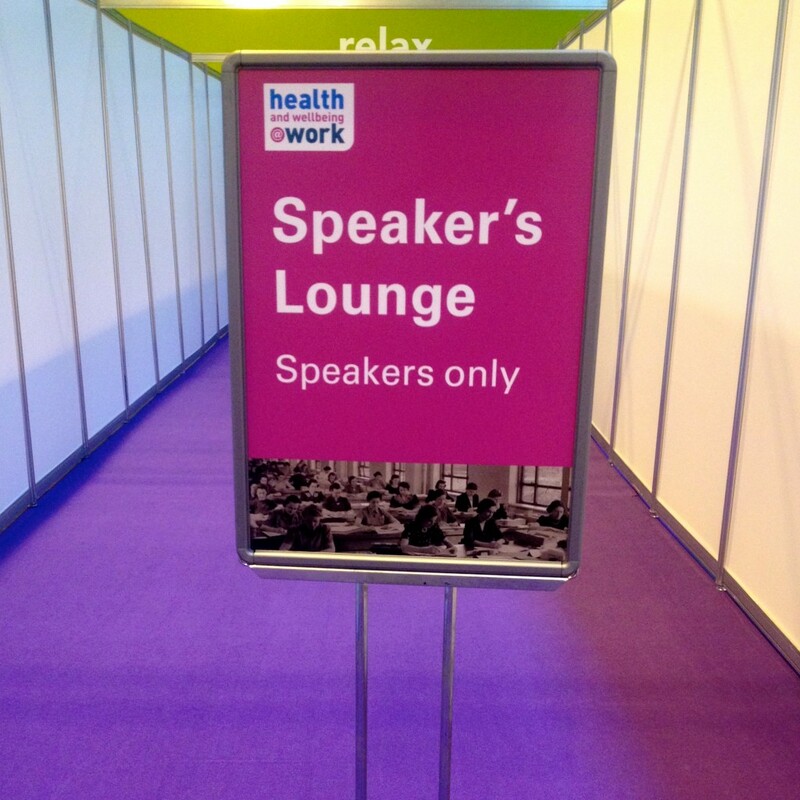 School of Tourism researcher Dr Tim Breitbarth (Sport Academic Group) delivered a keynote presentation at the 8th Health and Wellbeing At Work conference in Birmingham at the beginning of March. Health and Wellbeing At Work is the UK government’s programme for improving the health and wellbeing of working age people. Now in its 8th successful year, the two-day conference held at the NEC featured – for the first time – a track fully dedicated to Corporate Social Responsibility (CSR). Tim has published widely on CSR in international business and sport. The thousands of national and international participants could pick and mix from 20 tracks and visit the large exhibition. Following Tim’s presentation on ‘Making the business case for CSR’, other well-known presenters and practitioners like Professor David Crowther (De Montfort University), Mark Baird (Head of Industry Affairs & Alcohol Policy, Diageo), Nicky Day (Director of Corporate Partnerships, WWF) and Karen McArthur (Global Head of Corporate Responsibility, Thomson Reuters) informed and inspired the audience. Invited by Sterling Events, Tim also co-chaired the track together with Yogesh Chauhan (Director Corporate Sustainability, Tata Consultancy Services; Business In The Community Board Trustee Director). Recently, the Sport Academic Group hosted researcher Dr Philip Furley from its Erasmus partner institution German Sport University Cologne. Philip works for the Institute of Cognitive and Team/Racket Sport Research and has recently published studies in a number of fields like inattentional blindness and creativity, many of which funded by the prestigious German Research Foundation. As part of his visit he discussed his work with a selected group of sport academics and postgraduate researchers in a workshop-style format. One of the studies looked into how non-verbal behaviour of athletes is a function of the current score, how this can be reliably interpreted by others – especially opponents who register this which in turn influences their confidence levels. By extending this research into what Philip calls ‘pop science’, it can be explained why English footballers are more likely to fail in penalty shootouts based on empirical data. ‘Hastening and hiding’ behaviour as a consequence of psychological stress in the penalty situation leads, for example, to submissive non-verbal behaviour like turning your back to the goalkeeper after dropping the ball on the penalty spot and taking little time for the shot after the referee blows the whistle. Further studies and discussions were around the dangers of coaching instructions to induce an attentional set that controls the focus of attention of athletes. It can lead to structured awareness not adaptive to dynamic situations – for example during on-field decision making which can lead to important information being overseen, like an opponent who ‘unexpectedly’ enters the space of a defender. It was discussed if there were parallels to the way university tutors may be used to structure and present material to students and how this forms their thinking. “Bringing highly dedicated researchers from internationally leading institutions to BU is an important part of inspiring and guiding research at our university. Philip’s presentations were a fantastic example of work that is driven by deep academic curiosity and high process quality, and his visit has provoked much inspiration and discussion” says Dr Tim Breitbarth, Senior Lecturer and Coordinator Internationalisation in Sport.